This is the subject guide that covers the disciplines of chemistry and biochemistry. The purpose of this guide is to provide tools for finding resources and services that will assist students with writing research papers within the chemical science disciplines. It will help you find articles by searching databases and the literature, help you locate data, and learn how to cite sources within the chemistry and biochemistry disciplines when writing your research papers. According to the American Chemical Society, a formal definition of chemistry is “the study of matter and the changes it can undergo. Chemists sometimes refer to matter as ‘stuff’, and indeed so it is. Matter is anything that has mass and occupies space” …And so it is with chemistry, understanding the basic properties of matter and learning how to predict and explain how they change when they react to form new substances is what chemistry and chemists are all about. Organic chemistry: is a highly creative science in which chemists create new molecules and explore the properties of existing compounds. It is the most popular field of study for ACS chemists and Ph.D. chemists. Inorganic chemistry is concerned with the properties and behavior of inorganic compounds, which include metals, minerals, and organometallic compounds … Inorganic chemistry is the study of the remaining subset of compounds other than organic compounds, there is overlap between the two fields (such as organometallic compounds, which usually contain a metal or metalloid bonded directly to carbon). 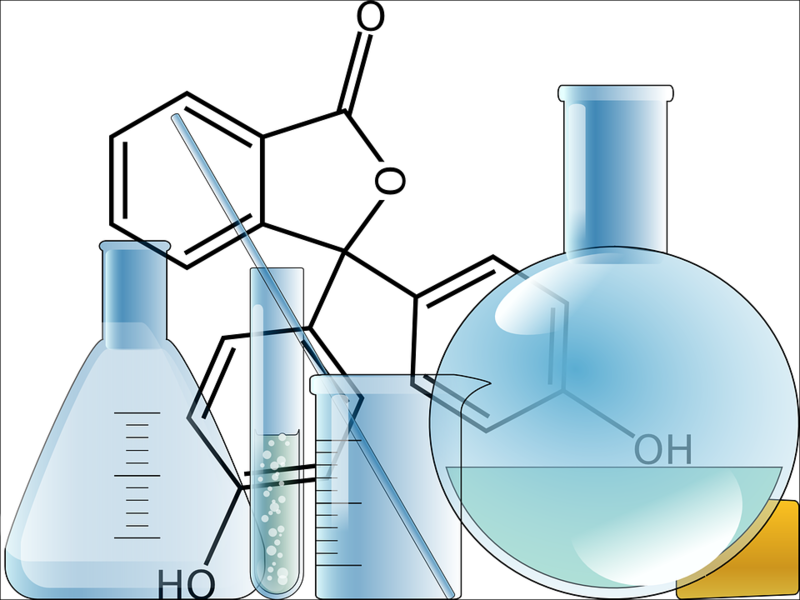 Analytical Chemistry is the science of obtaining, processing, and communicating information about the composition and structure of matter. It is the art and science of determining what matter is and how much of it exists. In 2012 (salary survey data), analytical chemistry was the most popular field of work for ACS chemists. Biochemistry is the study of the structure, composition, and chemical reactions of substances in living systems. It emerged as a separate discipline when scientists combined biology with organic, inorganic, and physical chemistry and began to study how living things obtain energy from food, the chemical basis of heredity, what fundamental changes occur in disease, and related issues. Biochemistry includes the sciences of molecular biology, immunochemistry, and neurochemistry, as well as bioinorganic, bioorganic, and biophysical chemistry.